If not, then do we need to set one up? I am happy to do the webby side of it. Basically, email me with your list of unwanted items (along with photos if you have them) and I will stick it all on a webpage for people to browse. If it takes off then we could maybe 'forum base' the site to enable people to add there own items and ask questions about items offered. I would be happy to host the initial site on our own webspace. We have limited bandwidth but it should suffice to start with. I know that we have rather alot of unwanted stuff up in the attic here and I am loath to chuck it out. We thought about attending a vide-grenier when the weather warms up a bit but if we can give stuff away to likeminded individuals I would much rather do this. After all, that is how we acquired our stove. I realise that France is a huge country and moving things about may prove awkward but what have we to lose? For all you know that spinning wheel that you have been seeking all those years might be sat on someones junk heap just down the road. I searched for a France site and couldn't find it. Just realised there is a link to it on the link I posted above (where is the dig a big hole and bury yourself icon)? It's strictly for ads giving away items (ie. no exchange or barter). You can search by region, departement, key word, etc. so it's easy to find what's available nearby. I first looked at Freecycle France last year, but the problem is that France is so large that there are no nearby groups. This I feel is why the scheme hasn't really taken off here; it's just not practical for those who aren't in large towns or cities. Given that most towns have an Emmaus, I can't really see Freecycle taking off. They charge so little for items, it's for a good cause, and now that Pierre Abbe has sadly died, I think that most people will stick to donating their unwanted items to them, not through Freecycle. Welcome to Downsizer! Hope you enjoy the forums and thanks for the link. I will take a look. I did apply, a couple of weeks back to set-up (or mod) a freecycle.fr site for our area but am still waiting to hear back from them. Let's hope it is a goer. I do see your point with Emaus Tay. There is one not too far from here (St Leonard de Noblat) that we have got furniture from in the past. I still think an online version would be useful to lots of people. Most of the ex-pats we have met since moving out here have internet connectivity. It costs nothing to take a look. People are buying old properties all the time here and usually full of stuff that they don't want. Never heard of any of this stuff making it to Emaus so far. Lots of stuff makes it as far as the next bonfire. It's such a shame. 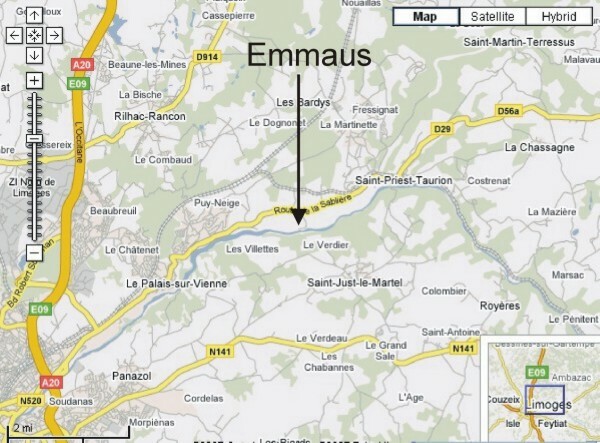 I'm new to being in France what's an Emmaus? Emmaus are a charitable organisation. There our outlets in many towns, where you can take anything you no longer want, and buy whatever takes your fancy. I don't know where in your Dept there is one, but I would imagine there is one in Limoges. In 86, there is one in Montmorrilon and I believe there is one in Poitiers. Hi Karena and welcome to Downsizer! I hope you enjoy the site & forum. We are from York and now Haute Vienne so not dissimilar to yourself. We live near Neuvic-Entier. Where are you? The nearest Emaus to here is just the other side of St Leonard de Noblat. It is not all that easy to find but I'd be happy to show you directions on a map. For the record, I did get in touch with Freecycle France with regards to setting up a local freecycle in Limousin but as yet heard nothing back from them. Hi Karena, we are north of you in Parnac, there is a Emmaus in Chateauroux, we are going next week so I will let you know what it's like. It is a huge place in two large barns and a lot of things outside too. It is a charity so you donate your unwanted items for nothing and by things at very reasonable prices. I think it is only open in the afternoons 2pm to 7. It is hard to spot. You need to approach from the Limoges side (A20) and look carefully for the sign which is growing deep within the hedge. The overhead image is pretty good. 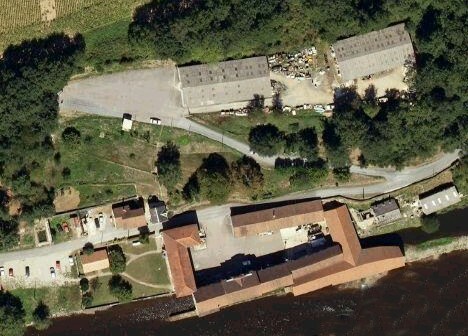 The place mentioned is the 2 huge barns at the top and all the 'junk' in between. Take a pic-nic. The area is beautiful, it's on the bank of the Vienne.